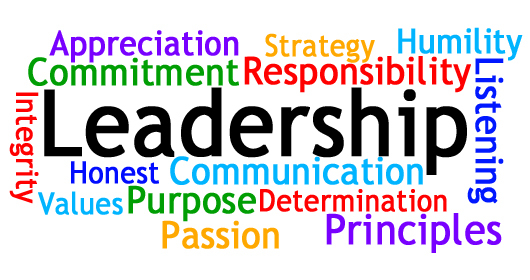 Once you know why you’re creating a leadership team, what you’re looking for in the students who are on your leadership team, and how you’ll select your student leaders, the question still remains, how do you present the idea of a leadership team to your teens for the first time? The best way to do this is to be honest about what your team is. As you know, I’m an advocate for student leadership teams that are focused on discipleship. Because of this, whenever I talk about my ministry’s student leadership team, I do so in terms of growth. I talk about how applying to be part of the Student Leadership Team will give interested teens an opportunity to grow in their faith, to grow in their relationships with others, and to grow as a leader. I also make a point of saying we’re not looking for one particular kind of student. Instead, we’re looking for people who like to be up front, as well as those who prefer to serve behind the scenes; We’re looking for introverts as well as extroverts. In addition to explaining what your student leadership team is, when presenting this idea to your teens (and their parents) for the first time, it’s also important to be clear about what the team isn’t. For this reason, avoid using these popular phrases to describe your church’s student leadership team. Our student leadership team is like our church council/board of elders. This is a tempting comparison to make. However, it tends to fail on multiple levels. First of all, many of your teen’s probably don’t know what your church’s council or board of elders is let alone what they do. For those who do, your church’s governing body is probably associated with power. And while it’s important to entrust teens with power, I’d be super leery of any student leadership team given the power to decide your ministry’s budget as well as hire and fire it’s staff, two things that are often the responsibility of church councils/elder boards. As student leaders, you’ll get to make key decisions about our ministry. This may, in fact, be true of your student leadership team. It is of mine. However, because I want our student leaders to be teens committed to servant-leadership and not just to advancing their own agenda, I NEVER advertise the decision-making power they’ll have as part of the team. When you do, things can go very wrong, very quick. For example, I once heard a youth pastor say, “It’s their youth group, not mine. Our student leaders know and embrace that.” Is it any wonder this same youth pastor was embroiled in a bitter conflict with her student leaders, who thought they had the right and authority to set the agenda for the youth ministry as well as to tell this youth pastor how to do her job? A far better approach is to emphasize that being a student leader is about growing. As student leaders are discipled and their faith grows, increase their responsibilities and allow them to weigh in and influence more and more key decisions. Even as you do, don’t completely relegate your power to teens. After all, you are ultimately responsible for the ministry God has entrusted you with. It’s your job to protect the marginalized in your ministry and to ensure, among other things, that certain things (like Jesus!) are taught each year, regardless of whether or not your teen’s want to discuss them. Being a student leader will look good on your college application. It’s true. It will. Nevertheless, I don’t want teens to be on my student leadership team simply because it’ll look good on their college application. Those teens are typically NOT the ones interested in genuinely growing in their faith, relationship with others, or even in their ability to lead. As a result, they’re often detrimental to your team. For this reason, don’t beg teens to be on your team or oversell its benefits. Instead, let teens choose for themselves whether or not being a part of your student leadership team is something they want to do. Chances are, when you present the idea of a student leadership team to your teens for the first time, you’ll likely have a small but very dedicated group of teens excited to be part of it. As your leadership team becomes more established, those teens who are a part of it will become your best advertisement for joining the team. For this reason, each year, you’ll likely receive more and more applicants who are eager to be part of your team – and to do so for the right reasons.